This is actually a pretty big day because not only is Pac-Man celebrating his 30th anniversary, but Google has unleashed their first-ever interactive doodle on the Google homepage – and they changed the “I’m Feeling Lucky” button to “Insert Coin” for the day. And what’s so great about that, you ask? When you go to the Google homepage and click the “Insert Coin” button, you get to play Pac-Man right then and there. It’s free to play, and will be available for 48 hours. Cool, yeah? I’ve played a few times and have died each time. That’s not very surprising though since the only video games I’m actually good at are Duck Hunt and Mortal Combat. Yes, I said Duck Hunt! So what of it? On May 22, 1980 the now-iconic Pac-Man game was released in Japan by Namco Bandai Games. 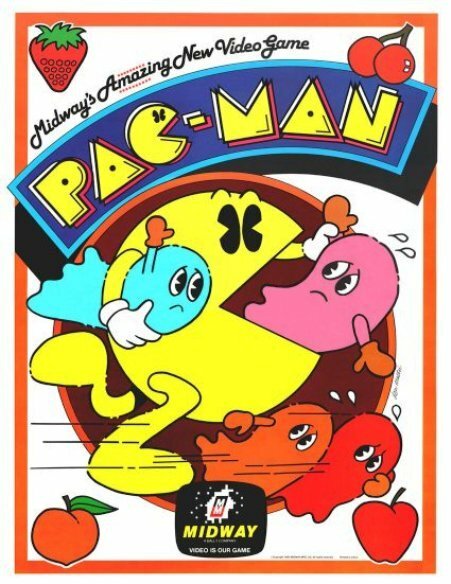 Originally called Puck Man, Pac-Man launched in the U.S. in October 1980 and went on to sell more than 100,000 units in its first year of production. Now the game is listed by Guinness World Records as the world’s most successful coin-operated game. previous post: Bret Michaels Hospitalized. Again. Happy Birthday Pac-Man!! This is actually a pretty big day because not only is Pac-Man celebrating his 30th anniversary, but Google has unleashed their first-ever interactive doodle on the Google homepage – and they changed the “I’m Feeling Lucky” button to “Insert Coin” for the day. 53 queries in 1.215 seconds.